Specifics: a tea made with leafs and branches. I have only seen this being sold in bundles either in the mountains or street markets. It is not always easy and more common in spring. I would be very cautious of using this in Europe as the species may be poisonous, from the little I know the berries are. I can’t find any reference to its use as a tea in the West, though I have not searched extensively. A few months ago I noticed a little old lady street vendor selling, amongst other things, what appeared to be mistletoe. I was intrigued as of course, in the West it is usually only ever seen at Christmas when it is used to kiss under. Like most of my Korean friends,when asked about this plant, none had the slightest idea what it was, nor any interest. 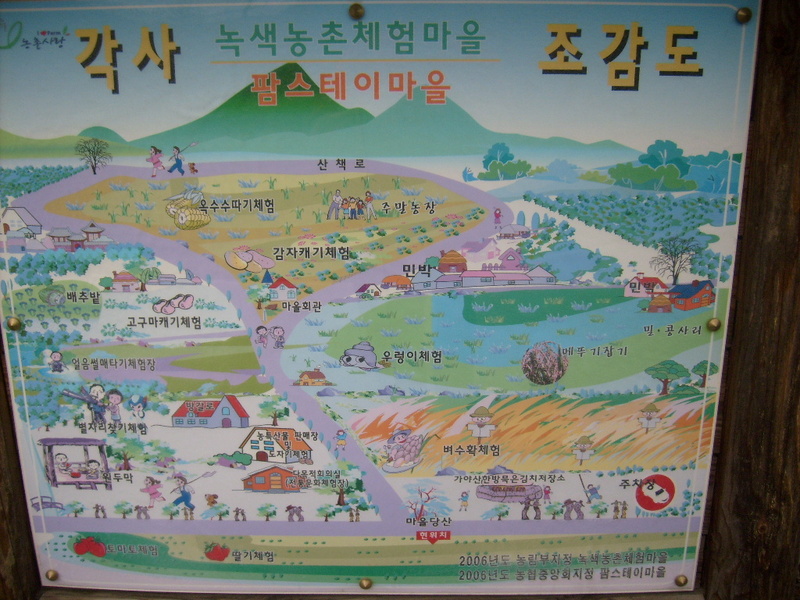 On Children’s Day, I went to Kayasan National Park (가야산) which is a short distance from Daegu. 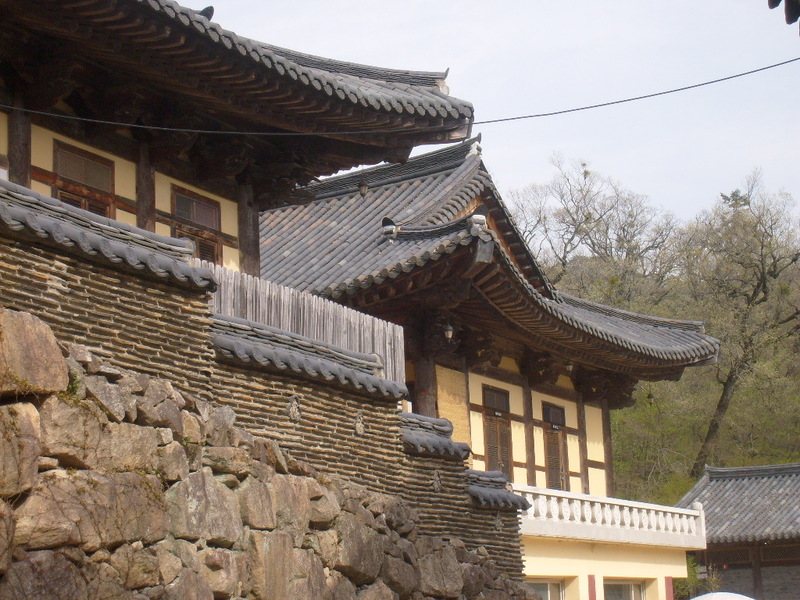 As is the custom on such days, we made a ‘pilgrimage’ to the Haeinsa (해인사) Temple, one of Korea’s most important temples and home to Korean National Treasure No. 52, the Tripitaka Koreana. These comprise 81.340 woodblock templates, carved in the 13th century and forming the most accurate, oldest, and extensive treatise of Buddhist law and scripture. With full foliage not yet set on surrounding trees, I noticed ‘balls’ of what appeared to be mistletoe growing on their upper branches. I was quite excited, an excitement my friends find quite strange and eccentric. None of them could tell me what they were but their interest was microscopically sparked when I pointed out to them that the leaf shape on the balls, only just visible, differed from that on the surrounding branches. And then we stopped by a small ‘kiosk’ selling the customary objects found in such locations, dried mushrooms, steaming silk worm cocoons, – various fresh mountain greens, herbs, onions and wood, and in one corner, a large pile of mistletoe, instantly recognizable and available either fresh or cut and dried at 10.000W (£6) a large bag. 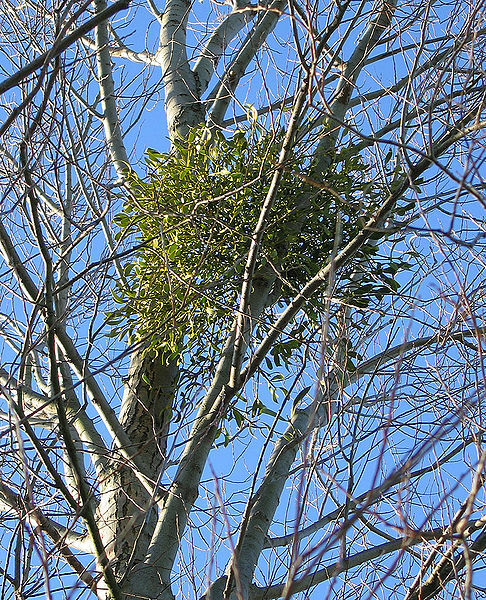 Mistletoe is a parasitic plant with an extensive and ancient history in many cultures. Myth suggests mistletoe was the wood from which the cross of Jesus was made, after which, as a punishment, the former tree was withered and reduced to a parasite. The plant has various hosts and usually grows on higher branches where seeds fall in bird droppings. Instructions for making tea – Mistletoe can be kept in the fridge, though I was told not to store it in the freezer. 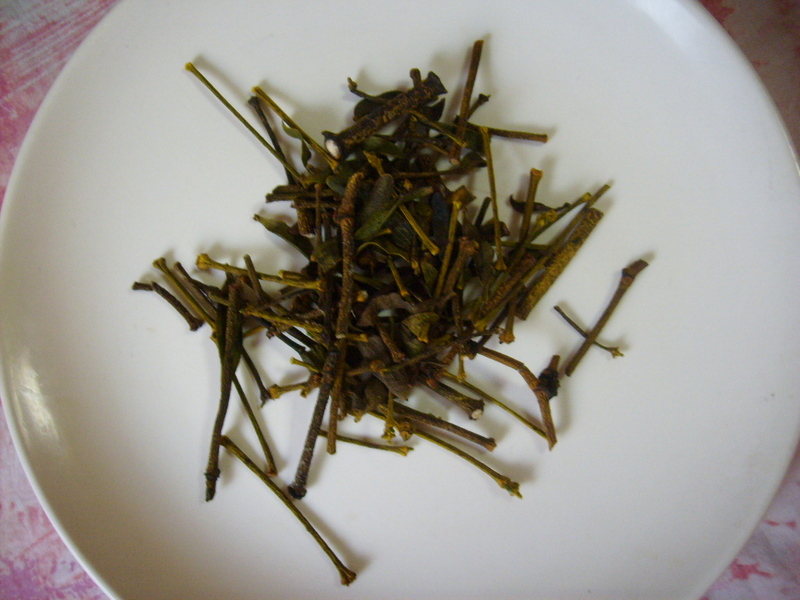 A handful of twigs and leaves are then boiled in approximately 2 litres of water and the tea drank warm or chilled. I have discovered that a fuller infusion is made if the ‘leaves’ are left to steep over night before being removed. European Mistletoe can also be used for making tea herbalists claim it has numerous benefits, one of which is lowering blood pressure. Here is made by way of a cold infusion. The taste – I am not really into hot herbal or cereal teas and generally prefer these chilled. Mistletoe surprised me as it has a very distinct and pleasant taste with a lemony aroma. The taste is remarkably similar to that of western type tea (Ceylon, PG Tips, Liptons etc) but quite soft. It lacks the bitterness or tartness associated with tannin in un-milked, un-sugared tea. Currently I prefer this ‘tea’ to Korean barley, corn or green tea.